Pitsiä ja ruusunpunaa: Happy 21st! Sydänstanssi on Wild Rose Studion ja vetoketju- ja enkelikoristeet on Live and Love Craftsistä. Digi image is Mo Manning's and when I saw it I know it was perfet for this! As well as Pion Design's My Precious Daughter papers ;D Heart shaped die is Wild Rose Studio's and zipper and angel embellies is from Live and Love Crafts. Upean kortin olet tehnyt tyttärellesi. Siinä on niin paljon ihanaa katsottavaa. Paljon Onnea tyttärellesi ! 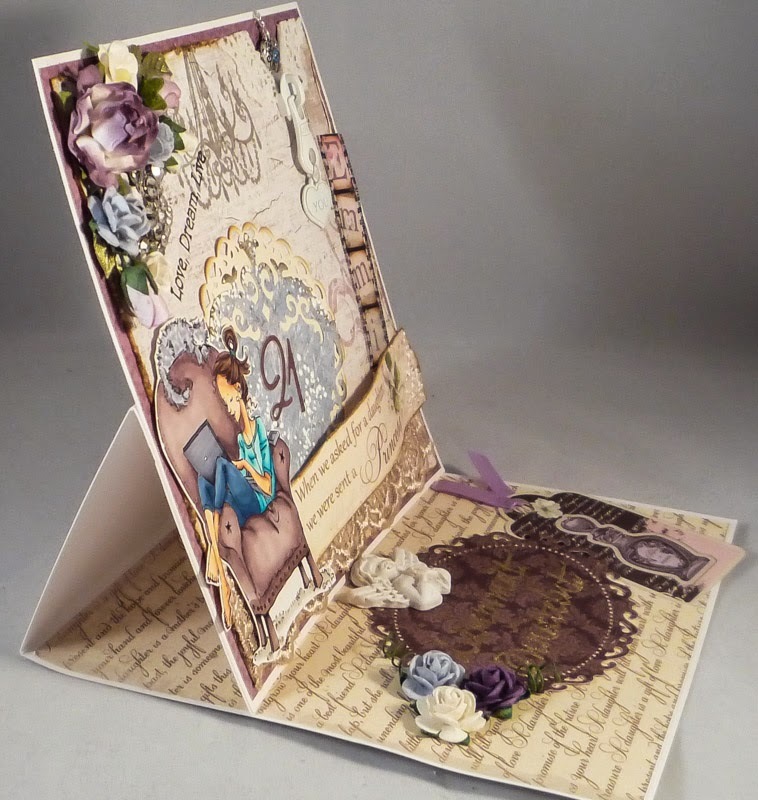 Gorgeous card; so rich with details, lovely colours and shabbyness. Your daughter must have been thrilled! Thanks for your comment the other day on the LLC blog; I hope my reply reached you, but if not Merry Christmas and All the Best for the New Year! Oh; and thanks for taking part in this month's LLC challenge.